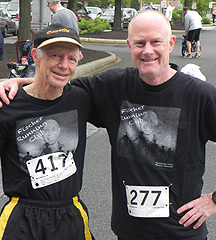 Creek Road Runners was introduced informally by a duo of running partners—CRR Bob Bennett and CRR Mark Deshon—in the early 1980s. Over the years since, many runners have come to be associated with this group, mostly through their work affiliation at the University of Delaware, by having run on Creek Road at least once. 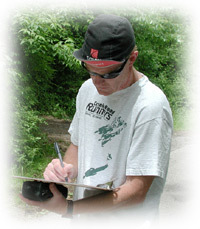 CRR Mark Deshon (see photo in righthand column) acts as group coordinator/communicator as he has throughout the group’s history. Creek Road Runners is not a formal club and does not pretend to be. There are no “dues” associated with being part of this association of runners. Our hope is only that you would find, as we have, that Creek Road is still the jewel for runners/joggers, as well as other recreationalists, here in the Newark, Del., area and enjoy it too.